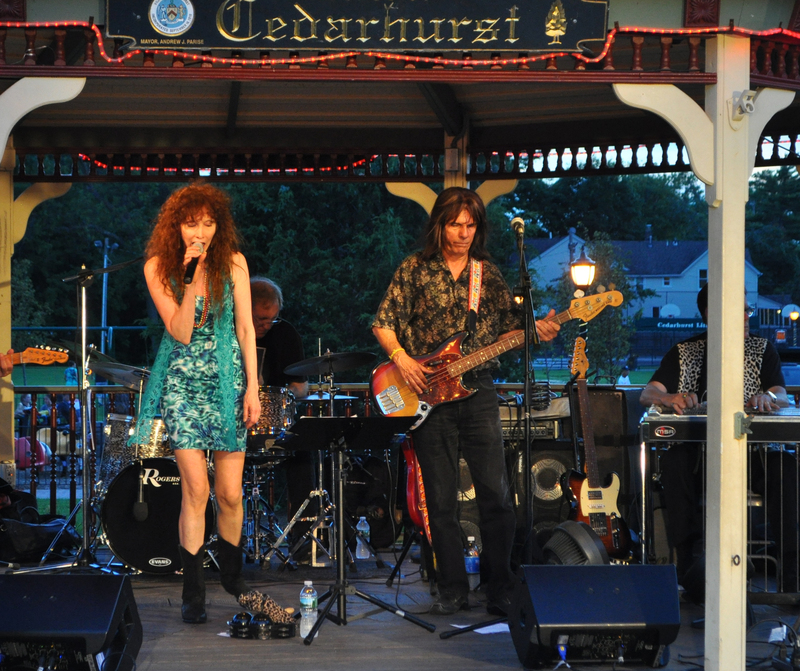 There was a lot of toe-tapping going on in the Andrew J. Parise Park on Tuesday night as the audience sang and danced the night away to their favorite country tunes performed by Mary Lamont and her band. It was a night to remember. Earlier in the evening, “Alexo” amazed the crowd with his sleight of hand, bizarre stunts and Houdini inspired escape artistry. The audience was spellbound by his little animal friends. Over 60 benefactors contributed to the 2016 series including the Country Night Sponsors: TD Bank, Frank B. Lewis Attorney at Law, Bolla Market, Cedarhurst Business Improvement District and The Cheese Store of Cedarhurst. Deputy Mayor Lanzillota reminded everyone that our sponsors play a vital part in making these concerts available at absolutely no expense to our taxpayers. On August 2nd at 8:00 PM Cedarhurst is bringing back the JC Revue for a tribute to the great Divas. Come and listen to her recreation of the great performances by Barbara Streisand, Etta James, Reba McIntyre, Alicia Keys, Aretha Franklin and many more. Don’t wait for a Tuesday night to come to the Park – spend a day here in our first Boundless Playground on Long Island and splashing through our Water Park, while enjoying a picnic, tossing a Frisbee or playing ball. You will be happy you did.